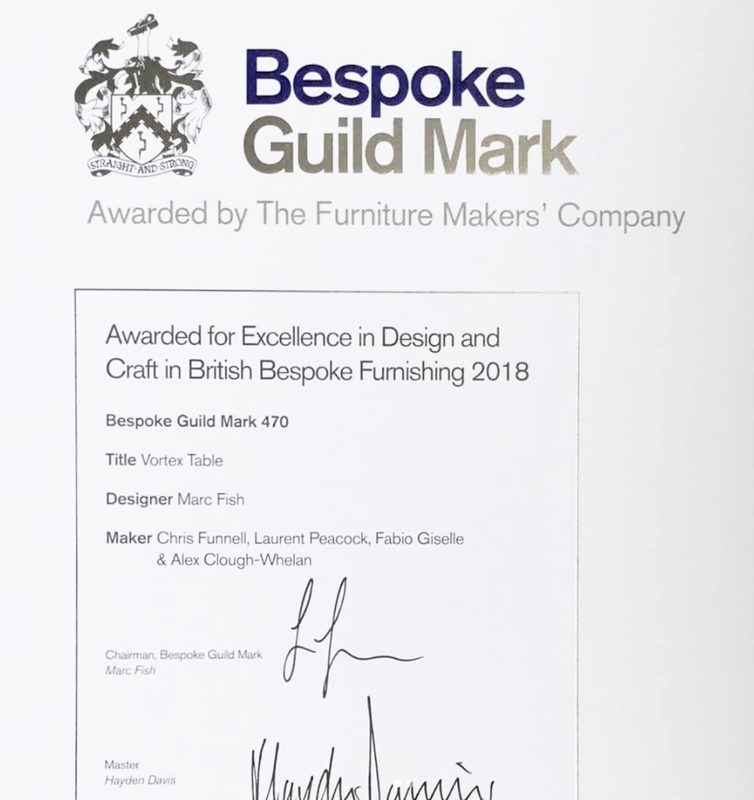 I was very pleased to learn recently that the ‘Vortex’ dining table which I helped Marc Fish to make last year has been awarded a Bespoke Guild Mark. As a named maker I get a name-check on the certificate, which is always rewarding to see. I made the laminated twisted pedestal base on which the resin top sits. It was made from a couple of thousand strips of hand-laid oak and sycamore veneer, cut in such a way that they both curve and taper as they move around the former, to give the whirlpool effect Marc was after. There were quite a few head-scratching moments, but the final result is pretty satisfying!